You can book ferries to Devonport from Melbourne in Australia. The city of Devonport is situated in the Mersey valley, on the banks of the Mersey river. The area has a strong agricultural history and produces 40% of Tasmania's vegetable crop. Below, you can find all Devonport ferry timetables, journey times as well as our best prices. Devonport is a vibrant city in the Australian state and island of Tasmania. 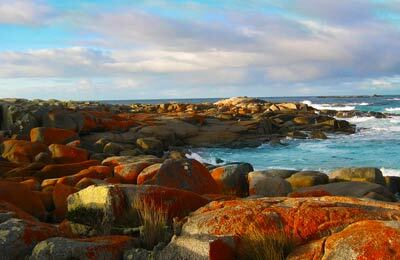 Situated in the North in the Mersey valley, it's a popular access point for people coming into Tasmania from Melbourne in mainland Australia. Ferries to Devonport can be booked easily with AFerry. As a shopper's city, there are many boutiques and speciality shops to browse through and pick up some unique souvenirs. Devonport has a strong agricultural history and produces 40% of Tasmania's vegetables. Local restaurants embrace this history using locally grown vegetables combined with freshly caught seafood, prime cuts of beef and a local wine. 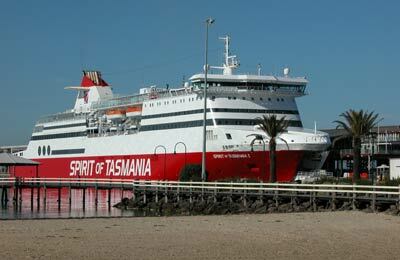 Spirit of Tasmania has a whole host of facilities and accommodation options to make your journey more comfortable. On board, you will find a choice of restaurants and bars to help you refuel for your destination. On arrival the ship will dock in East Devonport which is linked by a small passenger ferry across the Mersey river to the town centre. However, this doesn't run in time with the ferry from Melbourne, and not at all on Sundays. The walk around via the road bridge is a long one, so if you are travelling by foot you may need to get a taxi into town. Devonport is well connected via the National Highway 1. You can take the exit for East Devonport and follow signs to the port from there. Book your ferry to Devonport from Melbourne simply and securely with AFerry.